On 4th March 2018, Joey Yung, the Hong Kong heart-throb, came to Malaysia! It was a Meet & Greet session in Malaysia at Pavilion KL! 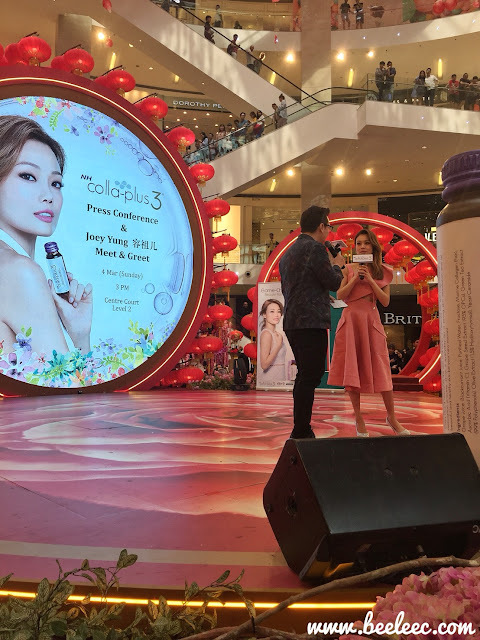 Joey Yung is also the ambassador of NH Colla Plus 3. Queen of Pop in Hong Kong's music industry. 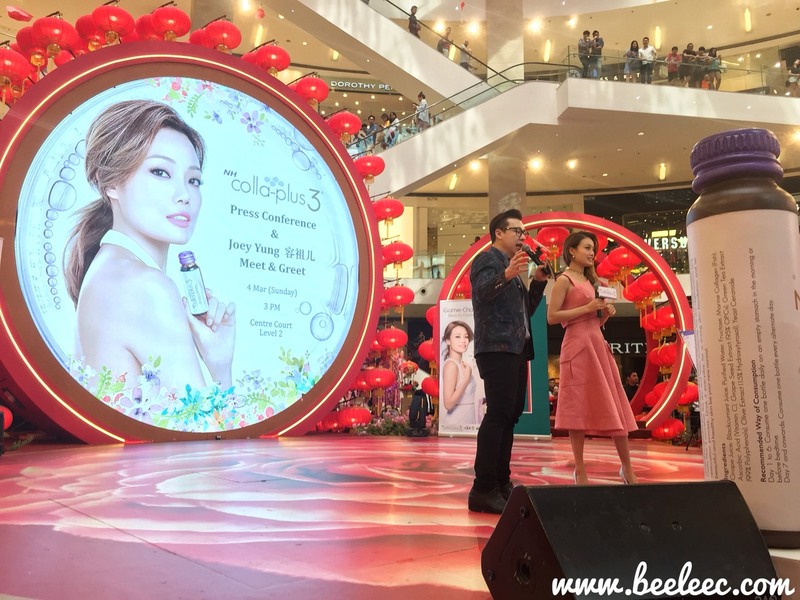 She won the Best Newcomer Award with her debut EP's song, 'Not Know' at Hong Kong's four major music awards in 1999, became one of the top female singer in Hong Kong. She was the opening and closing guest performer for Beijing Olympic Game in 2008. During 2011, Joey became the first female Chinese singer that performed at Royal Albert Hall. She had won 12 consecutive times of Most Popular Female Artist. She had also held more than 150 world tour concerts spanning the globe. 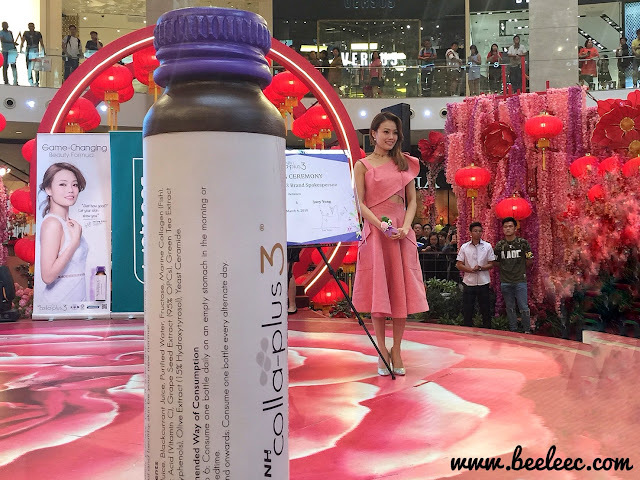 NH Colla Plus 3 beauty drink is more than your regular collagen drinks in the market. Each bottle contains yeast ceramide and olive extract to give user amazing skin with minimal time and effort. NH Colla Plus 3 beauty drink is suitable for both men and women with ALL skin types. 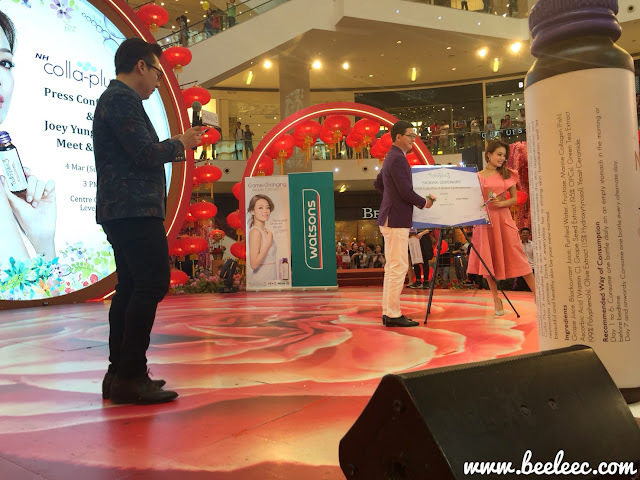 This is the signing gimmick with Chairman of HerbalCeutical, Mr. Wong and Ambassador Joey Yung. Enhances collagen production in the skin. Supports skin structure to prevent wrinkles and lines. Inhibits melanin production and promote pigment lightening effect. Replenish lost ceramide (due to harsh environmental factors and aging). Hydroxytyrosol is a world-class antioxidant found in olive. It has 15x the antioxidant activity of green tea and 3x the antioxidant activity of CoQ10. 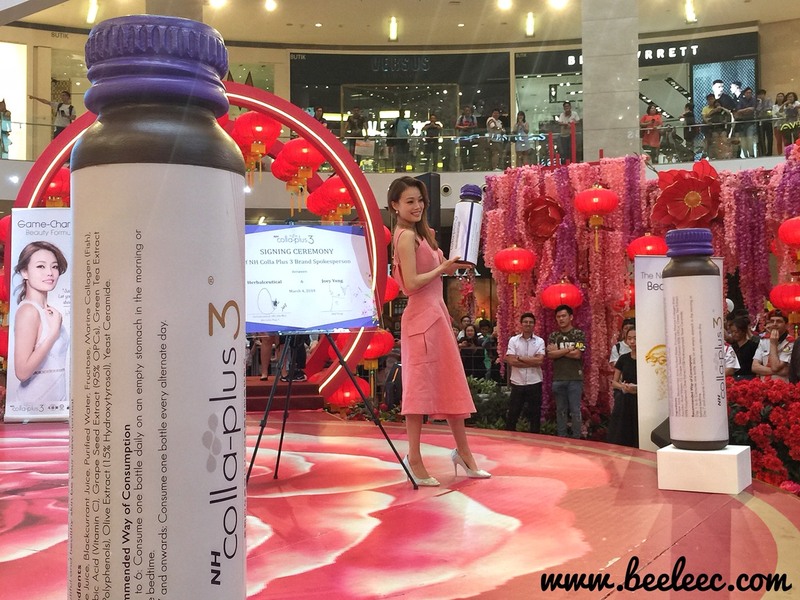 It stimulates the body's own glutathione system, to help reduce skin pigmentation and promote brighter skin tone. 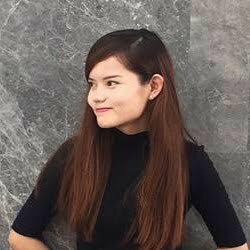 Remarkable results after first pack (of 12 bottles)! Day 1-6: Consume 1 bottle daily on an empty stomach in the morning or before bed time. Day 7 onwards: Consume one bottle every alternate day. You can get it exclusively at ALL Watsons outlets nationwide. 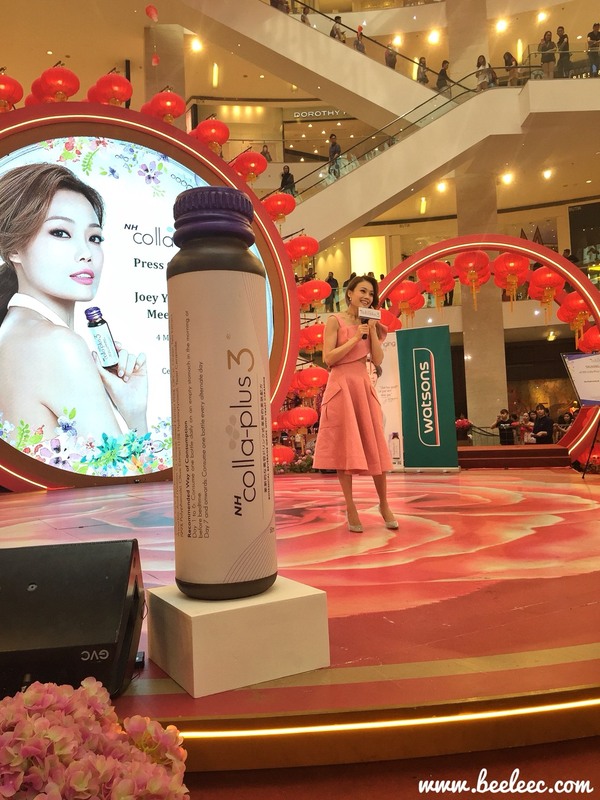 Who went and have tried the collagen already? Comment down below how long before you see your results? P.S. 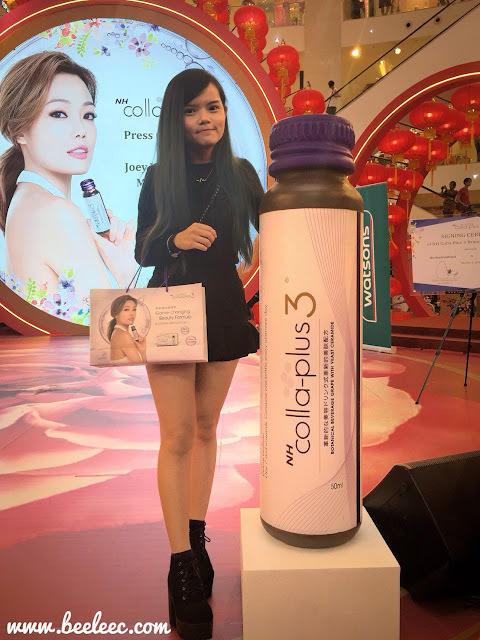 Do you like the distinctive taste of NH Colla Plus 3? Its said to be slightly bitter that comes from the 100% all-natural ingredients and devoid of any preservatives, synthetic flavoring, coloring and chemical additives! Signing out with a mandatory pic from the event. Pic credits to Bella. Meanwhile, head over to my purple tea party at Caffe Bene! Its their seasonal menu, go go! !